Interested in playing in an adult recreation league this summer? 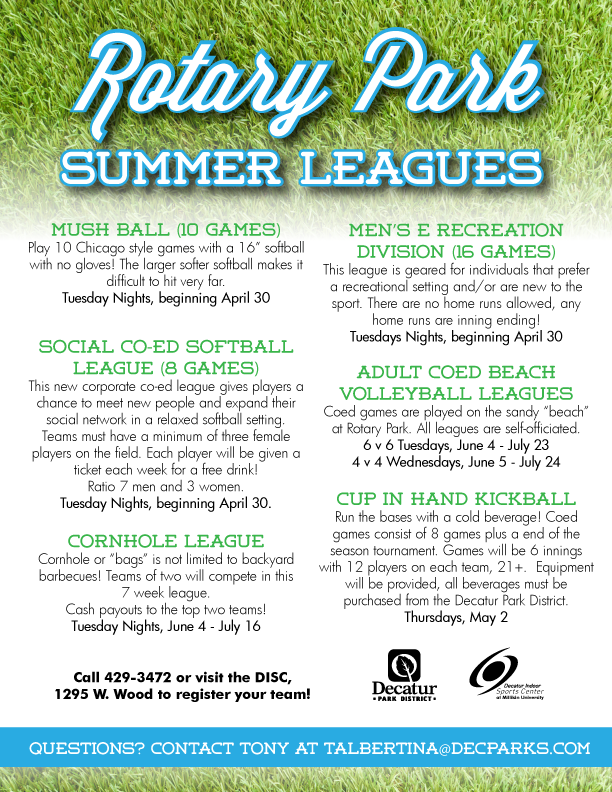 Register for the summer season at Rotary Park. Visit the Team Sidelines website and click on the downloads section for the full registration packet. For more information, call 429 – 3472, visit the DISC or email Tony at talbertina@decparks.com. League information is listed below!